This regal shade of blue is a great way to bring some excitement into your home. It’s a rich, deep color that also happens to be on the brighter side, which makes it a great choice for almost any space. 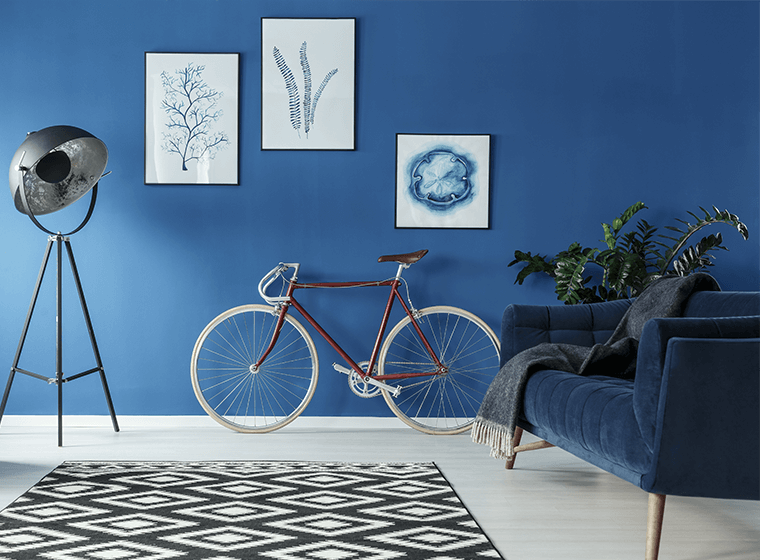 Let’s take a look at a few of the ways you can bring this beautiful blue into your home. Though it might seem a bit bright at first, royal blue is actually quite a versatile color. When it comes to interiors, it works well as both a feature color and an accent color. When deciding how much royal blue to include in your space, consider the lighting in the space and how you’ll be spending time in the room. 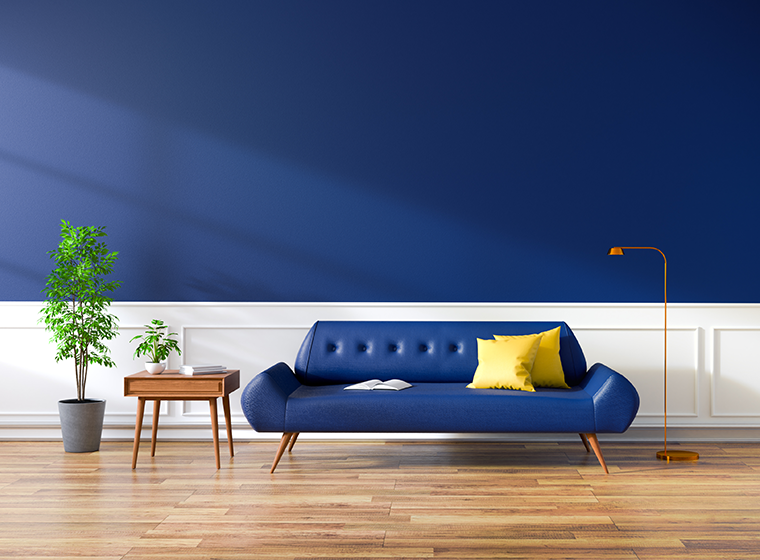 If you’ve got a big space that you want to make feel more intimate, royal blue walls are a great choice. This color can take a large and imposing room and make it feel much cozier. It also works well in spaces with large windows and a lot of natural light, since the cool undertones will make the space seem darker and help to balance the bright light. If an all over royal blue wall color seems a bit too intense for you, that’s okay! You can still experiment with this gorgeous wall color by instead choosing one or two walls to paint as accent walls. This is a great way to bring a bit more of the color into your space without being too overwhelming. An accent wall is a great way to add a pop of color to a neutral colored room and create some excitement in the space. It looks great paired with walls in shades of white or even soft gray. The key to working with royal blue is to find the right balance. If you’re looking for a more traditional style, pair it with warm, rich colors like cranberry or other deep reds. For more of a contrast, crisp white, taupe, and natural wood tones offer pairings that look great in both modern and classic styles of decor. If you’re after something really fresh and lively, royal blue looks incredible paired with pops of bright yellow—think mustard or canary. The contrast of warm and cool tones really stands out and definitely creates a more modern look. If you want to keep things in the cooler tones, try pairing it with shades of green. Softer greens like sage will help to create a more earthy vibe, while brighter shades like grass will bring some more energy to the room. 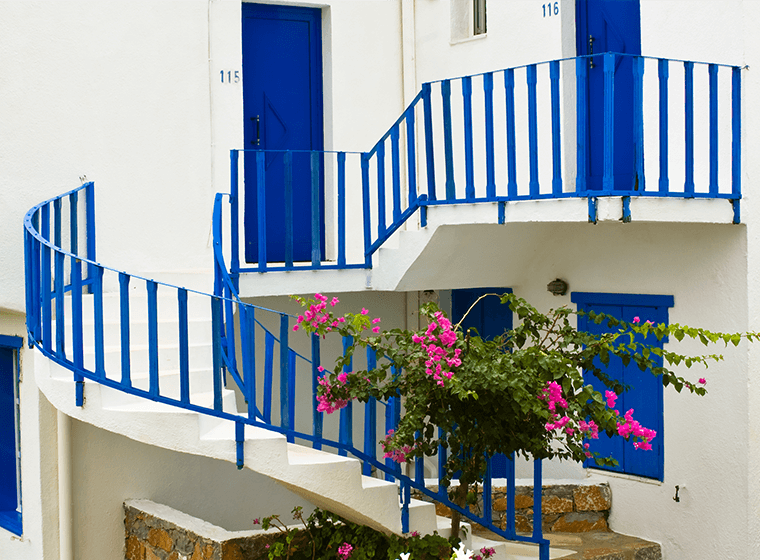 If you really want your house to stand out, royal blue is a fantastic choice for a home’s exterior. It’s a little brighter than more traditional exterior tones like navy or a soft blue, so the trick to working with this color is to create some balance. Classic white trim is the perfect way to accent this brilliant blue while still keeping things more traditional. 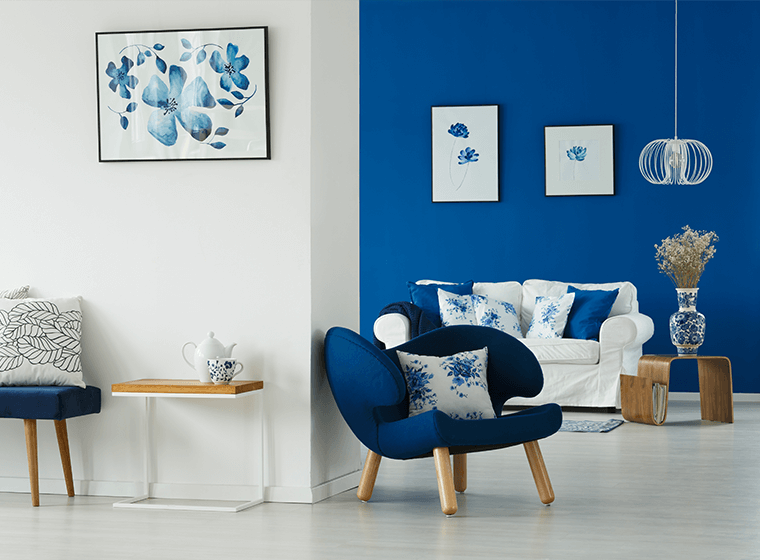 If you’re not quite ready to make the leap into an all over house color, royal blue also works brilliantly as an accent color. 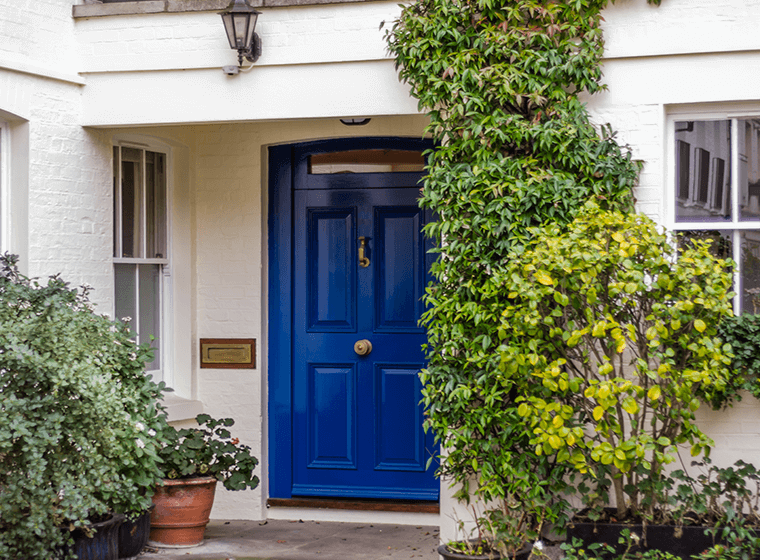 Make architectural details like shutters and front doors pop by painting them royal blue—this looks especially striking on a home that’s painted white or a cooler neutral tone.